Arusha region with 6 districts was part of the former Arusha region which had 10 districts. In July 2002 the former region was split into 2 regions namely Manyara and Arusha. SIZE; Arusha region has a total land surface area consists of 33,570.8 sq.km of dryland and 955.2 sq.km of water bodies giving a total of 34, 526 sq.km. LOCATION; Arusha region is located on the North Eastern corner and lies between latitudes 1.6 degrees -3-0 degrees South of the Equator; and between Longitudes 35 degrees -37.5 degrees East of Greenwich. Arusha borders with republic of Kenya in the North, Kilimanjaro region to the East and Manyara region to the South. The western boundary is shared with Singida, Shinyanga and Mara regions. Administratively, Arusha region is divided into 6 districts which are Arusha, Arumeru, Karatu, Longido, Monduli and Ngorongoro. Under local government set up, the region is divided into 7 local authorities/councils; Arusha city and District councils for Arusha, Karatu, Longido, Meru, Monduli and Ngorongoro. POPULATION; According to 2012 national population census, Arusha region had 1,694,310 people. This included 821,282 males and 873,028 females with average annual growth rate of 2.7 percent and average household size of 4.5. Arusha region has a bimodal rainfall pattern falling between October and December for the short rains, while the long rains start in February and ends in June. Karatu district is the exception in the region which gets only one rainfall season that normally starts in November and ends in April, with mean annual rainfall ranging from 800 mm to 1000mm. The amount of rainfall in the region varies from year to year. Temperatures are closely related to altitude. The high altitude areas of Arumeru, Arusha, Ngorongoro and Karatu districts are cooler during the hot season, and became very cold during the cold season which starts in March and ends in August/September. The average annual temperatures is 21°C in the highlands and 24°C in the low altitude areas. Temperatures at certain times go up to 30 °C during hot season in some areas of the lowlands of Monduli, Meru and Ngorongoro. The economy of Arusha region predominantly relies on agriculture and livestock rearing. Both commercial and small scale farming are carried out in the region. Other economic activities are manufacturing industries, Tourism and mining (which are growing fast). Arusha region has robust attractions in hospitality industries, international conference facilities, financial institutions and better communication and transportation networks. Arusha city is one of the six districts of Arusha region. It is the headquarter of Arusha region located in northern Tanzania between latitude 2° and 6° south and longitudes 34.5° and 38.0° East . It has unique characteristics of being surrounded by Arumeru District in all directions. The Arusha city is 50 kilometers west of Kilimanjaro International Airport on the great north road and 6 kms Arusha Airport. East . It has unique characteristics of being surrounded by Arumeru District in all directions. The Arusha city is 50 kilometers west of Kilimanjaro International Airport on the great north road and 6 kms from Arusha Airport. Area of Arusha city is 208 sq.km out of 34,526 sq.km (0.6percent) of the total area of Arusha Region. Arusha city experiences two rainy seasons in which short rains are between October and January, while long rains are between March and May. Amount of rainfall in the two season ranges between 500 to 1200 mm per annum with a mean average of 844mm. The temperature is relatively low and alleviated humidity. Cool dry air, is prevalent for much of the year with temperature ranging from 13°C and 30° celcius, with average round 25° C. The cold season is between mid April and mid August, while the rest of the years are district wet and dry seasons with an Eastern prevailing wind from the Indian Ocean. Arusha city is located on the Southern slopes of Mount Meru. It lies between 1,160 and 1,400 meters above sea level. The slopes transformed by volcanic activity, which are from isolated peaks, breaking up the gently sloping plains. These hills include Themi, Suye, Nemas and many others. The city is comprised of Burka, Engarenaro, Naura, Themi, and Kijenge rivers and numerous small streams which have their water head on the slope of mount meru. The economy of Arusha city mainly is the service sector. The city hosts numerous small and large businesses, banking, retail and commercial enterprises thus making it the financial and cultural capital of the Arusha region. Tourism is also a major Contributor to the economy of the city of Arusha, given the city’s location near some of the greatest national parks and game reserves in Africa. 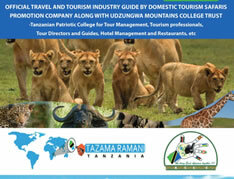 It has become major destination in East Africa for tourists from all over the world. As a result of that the city is playing host to several tour companies, lodges and hotels. Economic activities in the city are well diversified, from tourism , food processing and manufacturing of goods. The city is also a centre for major government offices and other non-governmental organizations in the Northern Tanzania. Arusha District Council is among 7 local Authorities in Arusha Region. The council is divided into 3 divisions, 21 wards, 71 villages, 268 sub villages and 71,814 households. The District Council covers an area of 1446.69 sq. km. Location;The council is located south of the Equator, between latitudes 3.10° -4.0°N and longitudes 34.47°-35.56° E.
Borders; The council is bordered by Meru District Council to the East, Monduli District Council to the west, Longido District Council to the North- West and Simanjiro District Council of Manyara region to the south. It surrounds Arusha city Council. The main economic activities of Arusha District Council are agriculture and livestock keeping. Meru District Council originated from the former Arumeru District Council that was established on the 1st of July 2007 as the District Council with full mandatory power. 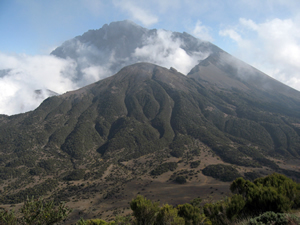 Meru District Council lies on the slopes of Mount Meru, which is the second highest Mountain in Tanzania after Kilimanjaro that rises to 14,000 ft(4516m) above sea level. The council lies between Latitude 3.00° -3.40° and Longitude 36.0°-55.0° in the Eastern south of Equator. The district has 11 perennial rivers and 143 springs some of which makes the bases for irrigation, domestic and livestock uses. The growth of the economy is mainly depend on agriculture, which employs almost 80 percent of the population and contribute about 80 percent of total revenue. Main agriculture produce includes flowercuts, maize, sorghum, paddy, bulrush millet, legumes and sweet potatoes. Liverstock products include meat, hides and skins, milk, milk products and eggs. Longido District Council is one of the 7 district councils of Arusha Region. It is situated between Latitude 2.2° and 3.1° south of the Equator and Longitude 36.0° and 37.3° east of Greenwich. It is bordered by Meru and Rombo District Councils to the East, Ngorongoro to the west, Monduli and Arusha Districts to the south and Siha District Council to the south East. To the North lies the Republic of Kenya. The main economic activities of Longido are livestock raring and wildlife. More than 90 percent of the population is engaged in livestock keeping. Large scale farming is practiced in the North –East part of the District; Subsistence farming is the main form of farming. Livestock keeping is the main predominant economic activity. Administratively, the District is divided into 3 divisions called Longido, Ketumbeine and Enduimet, 16 wards, 41villages and 136 subvillages. 7 wards out of 16 and 9 villages are new formed in year 2010. Land Area; The District has an area of 7,782 square kilometers of which 6,392.35 square kilometers is grazing land (82.14 percent), 1,023.90 square kilometers is arable land (13.6 percent), 292.23 square kilometers is land under cultivation and 365.78 square kilometers is under forest reserve. Longido district is recorded as one of the driest areas in Tanzania, the temperature ranges from 20c-35-c. Rainfall ranges from less than 500 mm in lowlands to 900 mm in high altitude. From year 2007 the district experienced prolonged dry season. Rainfall dropped from 500 mm-900mm to 79.3 mm-179mm. Short rains normally start in October and ends in December while the Long rains start from February to April. There are several isolated mountains that are found in Longido District, These include, Ketumbeine, Gelai, Oldonyo Lengai and Longido Mountain. Altitude ranges from 600m for the low elevation to 2, 900m at high elevations. The vegetation found is mixed forest, bushlands, and grasslands. Major economic activities found in highland zones include cash crop farming (Maize, wheat and beans) and livestock keeping is also practiced. There are three types of soil found in Longido District. This includes shallow soils, which are poor, and not suitable for agriculture, deep freely soils that are rich in natural fertility but poor infiltration rate and deep freely drained soils that are suitable for crop production. Monduli District Council was established during the British colonial rule; the administrative area was named “Monduli Maasai District” which included the present Kiteto, Simanjiro, Ngorongoro and Longido districts. In 1979 the present Kiteto district was born out of the Monduli Maasai district (then the present Simanjiro district was still part of Kiteto district) Since then the name of the district remained “Monduli” The present Ngorongoro district was still part of it until 1980s. 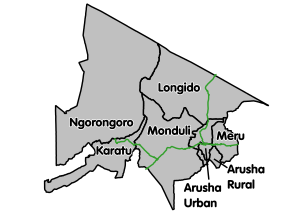 In 2005 Longido district was born out of Monduli District. Location; Monduli District is situated between latitudes 3.00” to 4.50” south of the Equator and Longitudes 36.50” to 36.45” East of Greenwich Meridian. It is bordered by Arumeru district to the East, Ngorongoro and Karatu Districts to the west, Mbulu and Babati to the South and Simanjiro District to the South- East and Longido district to the North……..
Administratively the District is divided into three divisions of Manyara, Makuyuni and Kisongo, 15 wards and 48 villages. 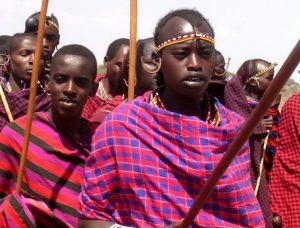 The major Ethnic group is the Maasai who constitute about 40 percent of the entire population. The main activity is livestock keeping . The second ethnic group is the Waarusha -they constitute about 20 percent of the entire population. The main activities are livestock keeping and farming. The rest who are not indigenous of Monduli District constitute 40 percent and their main activities are farming and trading. The main economic activities of Monduli District are Livestock keeping, agricultural production and wildlife. More than 90 percent of the population is engaged in livestock raring and agriculture. The District is estimated to have 105,547.5 hectares of potential arable land but only 87,632.5 hectares are under cultivation that is 13.65percent. Large-scale farming is the main form of farming. Major food and cash crops are maize, beans and paddy, which are leading staple food crops. Coffee and sunflowers are grown at a small scale. Livestock keeping is the main predominant economic activity. The district has an area of 6,419 square kilometers of which 6290.62 square kilometers is land area and 3,983. 855 is grazing land. 1055.475 square kilometers is arable land and 374.965 square kilometers is under forest. Water covers 128.38 square kilometers. The land surface is characterized by a number of isolated mountains (Monduli, Lepurko, Loosimingori, and Lengai) and flat rolling plains. Altitudes range from 600m. In the low elevations to 2900m at a high elevations. The district has mixed vegetation- forest, bushlands, wooded grassland and grasslands. There are perennial and seasonal rivers in the district. The major perennial streams are Simba, Kirurumo, Mto wa mbu, selela (Kabambe scheme) and Engaruka. Ngorongoro district council started in the late years of 18TH Century by the German as an administrative division. The name Ngorongoro derived from a local dialect (Korongoro)- meaning depression. It was officially in augurated in 1983 as a District council. Ngorongoro district council covers an area of 14,036 square kilometers and is composed of plains with small scattered hills. 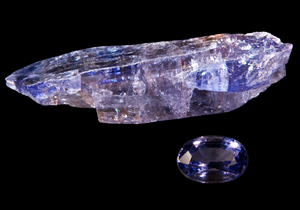 It lies between latitude 3030” South of the Equator and 350 5425”East of Greenwich. 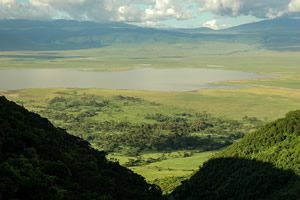 Moreover, the area of Ngorongoro district is a slope, which slowly falls down towards rift valley. It lies on altitudes 1,535 and 1,320 meters above level. The highest peak is 1675 meters. Scattered hills are found at most in the west and South of Ngorongoro district. Council total area (square kilometers) 14,036.00 sq. km. Land Area 13,560sq.km, Area covered with water 476.00sq.km, Conservation forests 842.16 sq.km, Highland areas 12,430 sq.km, Lowland areas 1606 sq.km, Area for fishery 456 sq.km, Hunting area 4000 sq.km, Arable land 50,000Ha. Area under cultivation 23,802Ha, Irrigation land 2,020Ha and irrigation land under cultivation 1030.2Ha. The district has 3 divisions, 21, wards, 56 villages, 154Hamlets one Town and one constituency. Karatu district council became an administrative council in 1997. The council was officially registered in 2000 after general election. The district Headquarter is located at Karatu Town which is 150km from Arusha city. The road from Arusha via Karatu to Mwanza and Musoma passes through the Town which makes Karatu Town active business center. The district is located south of the Equator between latitudes 3.10 degrees-4.000S and Longitudes 34.470-35.560E. The district is bordered by Mbulu District to the South, Iramba and Meatu districts to the North West, Ngorongoro to the North and Monduli district and Babati district to the South East. The district is estimated to have an area of approximately 3,300 square kilometers, with Lake Eyasi occupying about 10.6 sq.km. Karatu district is divided into 4 divisions – Mbulumbulu, Eyasi, Karatu and Endabash, with 14 wards ,49 registered villages and 229 sub- villages. The climate varies from one area to another in the district. In Eyasi basin the annual rainfall received is between 300mm/and 400mm.per annum while in Karatu Town it ranges between 900mm/ and 1000mm/ per year . In April the rain intensity can be very high enough to cause great erosion. In most places short and Long rain are separated by one or two months of slightly less rainfall. The district experiences four seasons, which are short rains which extends from November to December , short and hot dry period from January to March and mid- May while the Long and cold seasons occurs from June to October. Iraqw tribe (Mbulu) being the dominant, Barbaigs being the minor tribe who are pastoralists and Hadzabe who are hunters and found gatherers mostly populates in the District. Karatu district is divided into 3 agro ecological zones namely Highland bordering Ngorongoro , midland bordering Marang forest and Lowlands bordering lake Eyasi Basin. In highland zone- it covers Lositete, upper Kitete, Slahhamo, Kambi ya Simba, Kilimatembo, Rhotia kati, Kainam Rhotia, Ayalabe, Tloma,Oldeani, Getamock, Buger, Ayalalio, Endonyawe and Makhoromba. Highland zone lies between 800-2000m above sea level with rainfall range between 600-800mm per annum. In midland zone, this zone lies at Chemchem, Kilimamoja Gyekrumlambo, Gyekrum Arusha, Gongali, Bashay Qurus, Endashangwet, Changarawe, Bassodawish, Endamarariek, Khusmayi , Endallah, Qaru, Endabash, Kambi ya Faru, Laja and Ngaibara. The zone has an altitude of between 400-800m above sea level, with rainfall of more than 600mm per annum. In lowland zone, it covers the land of Matala, Dumbechand, Jobaj, Mbuga nyekundu, Quangdend, Engamaghan, Maleckchand, Mang’ola barazani and Laghangarer. It gets rainfall of more than 300mm. The main economic activities carried in Karatu are Agriculture and livestock keeping which occupies more than 85%. Karatu is famous on selling cultural products to tourists who normally stop and shop…….